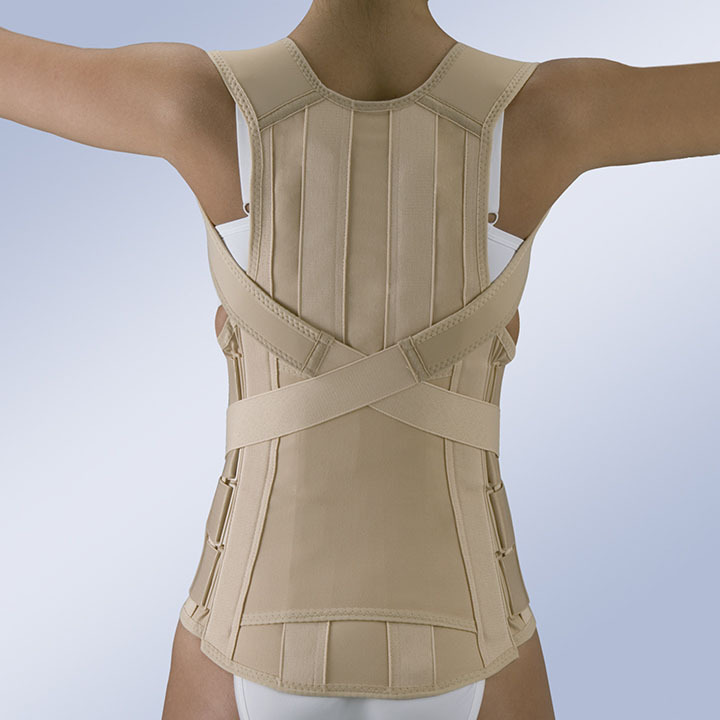 Lumbodorsal support made in semi-elastic fabric with anatomic rear stays, force multiplier system by traction and adjustment straps, Velcro fastening. Dorsalgia and degenerative processes. Weak and atonic muscles. Disc hernias. Postoperative care. The fastening system allows multiplication of the traction force and facilitates adjustment and placement with minimum effort. Size: S/1 (85-95), M/2 (95-105), L/3 (105-115), XL/4 (115-125), XXL/5 (125-135). Waist circumference in cm.